Captain Picard Day is coming up on June 16th and I’ve started up an art project to celebrate it over at picardday.wordpress.com! I’d like for people to contribute art and craft that honour my favourite Star Trek Captain, and a role model to us all, Jean Luc Picard. So I hope you’ll head over to the blog to check out how you can get involved! TCAF was AMAZING! I can’t say thank you enough to everyone who stopped by my table to say hello or bought something from me. You are all lovely and wonderful people and have a special place in my heart. Thank you for making my first time tabling at TCAF such a rad and totally amazing experience! Thanks so much to the people behind TCAF for accepting me into the show. And for putting together such a great show! And to all the volunteers for being so helpful and on top of their game! I’ve never felt so taken care of at a convention before! I feel like I spent the entire weekend talking to so many people but I still didn’t get the chance to see everyone I hoped I would. But you can’t escape my clutches and I’ll force my friendship on you all eventually! One of my favourite thing about conventions is being able to finally meet so many pals that I only know online and there was an abundance of that going on this time around! So here’s to everyone involved in making TCAF possible! Can’t wait for the next one! Now that I am so inspired and filled with creative energy it’s time to get back to work MAKING STUFF! 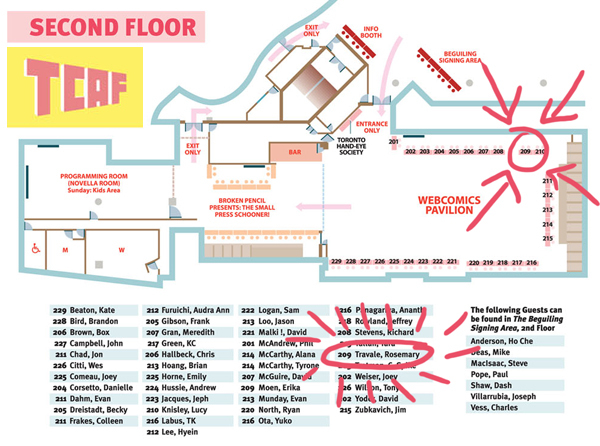 TCAF is this weekend! Craig and I will be on the second floor so come and say hi! It’s FREE entry! 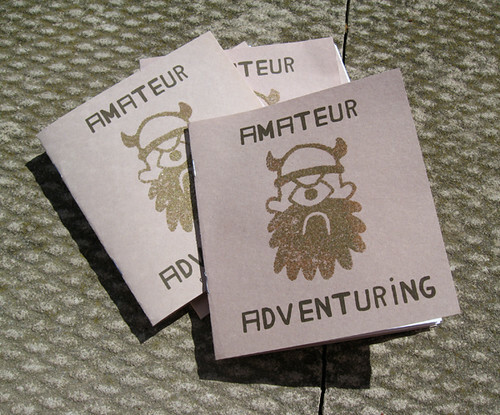 We’ll have lots of books, prints, art, buttons and other stuff with us, including my new mini Amateur Adventuring: The Tale Of Durrseus. Look at that gold embossed cover! SO FANCY! 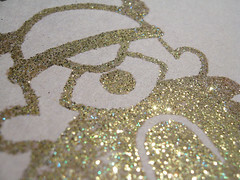 I absolutely got glitter everywhere while doing them, giving me the skin of a killer for a day. Also! 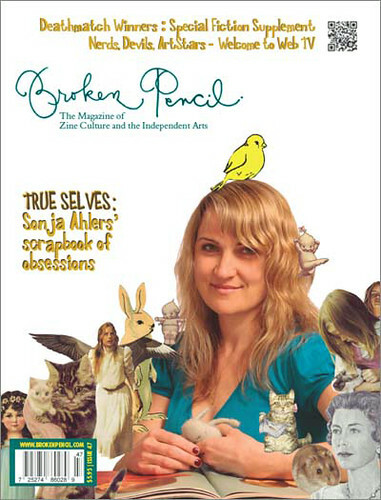 Broken Pencil magazine did an interview with me in their newest issue that’s on stands now. They’ve also posted it up on their site and you can read it here! 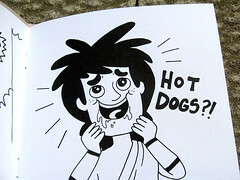 I’m so excited for TCAF! See you dudes this weekend!